The Alphatronic uses the MOS (Micro Operating System) operating system. There were in fact two models available: P1 and P2. 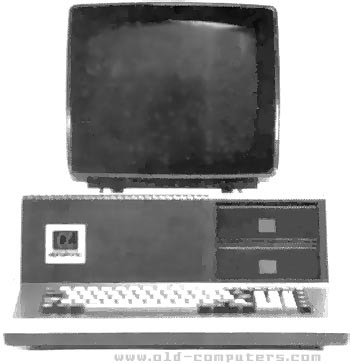 The Alphatronic PC/P1 had one floppy drive, and the PC/P2 had two. The picture beside seems to be a PC/P2. There was SKS/BASIC on Disc, startable by MOS directly. It was a pure Microsoft BASIC, comparable to GW-BASIC without Graphics. There was a modified version of CP/M 2.2 for this machine, and for this you could get BASIC 80 and the Siemens Macro ASSEMBLER. The native double disk-drives (160 KB each) could be replaced by higher capacity ones (785 KB each). A hard-disk (5 MB) was also available, as well as a memory expansion (64 KB). see more Triumph Adler Alphatronic PC models P1/P2 Ebay auctions !